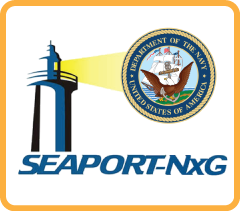 Concept Solutions has been has awarded an indefinite-delivery/indefinite-quantity, multiple-award contract for future competition of support service requirements to be solicited by Department of the Navy activities under the SeaPort Next Generation (SeaPort-NxG) multiple-award contract vehicle. All work under the contracts will fall under two categories (engineering support services and program management support services), which are further divided into 23 functional areas. The government estimates approximately $5,000,000,000 of services will be procured per year via orders issued under the SeaPort-NxG multiple award contracts. These awards contain provisions to set aside requirements for small businesses, service-disabled veteran-owned small businesses, 8(a) business development program participants, woman-owned small businesses and historically-underutilized business-zoned small businesses. Under these multiple-award contracts, each contractor will be provided a fair opportunity to nationally compete for individual task orders. The MACs have a five-year base period of performance with an additional five-year ordering period option. The Naval Sea Systems Command, Naval Surface Warfare Center, Dahlgren Division, Dahlgren, Virginia is the contracting activity (N00178-18-R-7000).